Tiny cabins and a double-wide trailer belonging to the Church of Scientology were recently raided by Tennessee police after they received a 911 call from a person trapped inside. 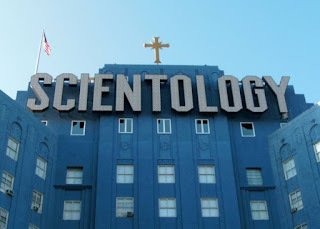 The caller told officers that he had been held there against his will for nine months and was being given unknown medications supposedly meant to “cleanse” him through Scientology. The man said that he was being mistreated and showed the officers his bare, lightless room. Officers also found a female patient, who was also hospitalized, along with several boxes of evidence. This post was republished from All-That-Is-Interesting. You can find the original post here.